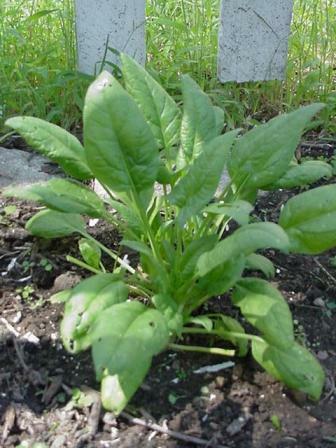 Spinach is best grown in cool weather, where they will thrive. Spinach prefers damp conditions and lots of compost. Caution: Spinach does not tolerate hot weather and will "bolt" to flowering quickly. Diseases: Seed Rot, Seedling Blight, Damping-Off, Leaf Spot, Anthracnose, Downy Mildew, Fusarium Wilt, Verticillium Wilt, Cucumber Mosaic Virus, Beet Western Yellows Virus, Beet Curly Top Virus.